Microsoft had been rumoured to be working on a Kinect-like gesture interface for smartphones from all the way back in 2014. While that never came to fruition on a device, the company’s research arm has shared a video detailing its work on a similar interface. 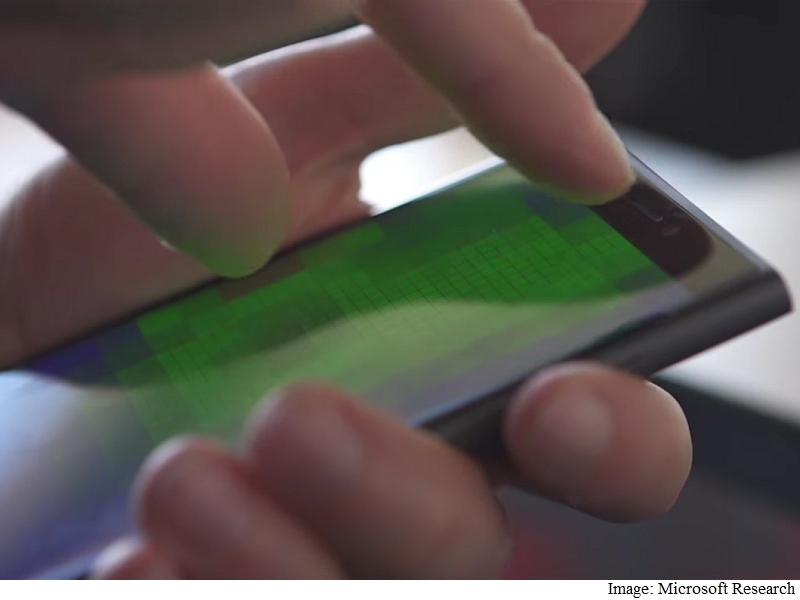 The Microsoft Research video, titled Pre-Touch Sensing for Mobile Interaction, showcases how users can interact with a smartphone’s touchscreen display without actually touching the surface (pun unintended), by simply hovering their fingers over it. The video shows how the Pre-Touch technology can intelligently understand the difference between similar gestures like swiping and selecting. The Pre-Touch technology appears to use a variety of sensors to detect the position of the user’s hands, including whether the smartphone is being held one-handed, or if it is being gripped on both sides. The video also shows a ‘hybrid touch + hover gesture’. Using this knowledge, the firm reveals how these gestures can bring up several interface options, from manipulating the volume in a video player, contextual options for files and Live Tiles, swiping through webpages, and even playing games. For now, there is no indication as to when (or if ever) Microsoft will include the Pre-Touch technology in its smartphones. If introduced, it will be interesting to see how the feature competes with Apple’s 3D Touch interface, and other pressure sensitive and gesture-based interaction models. Of course, the long-rumoured Microsoft Surface Phone may sport the feature. Several reports have pegged different launch dates for the Surface Phone, from the second half of 2016, to three variants in early 2017. The most recent Surface Phone report had tipped the smartphone would be powered by a Snapdragon 830 SoC, coupled with 8GB of RAM.